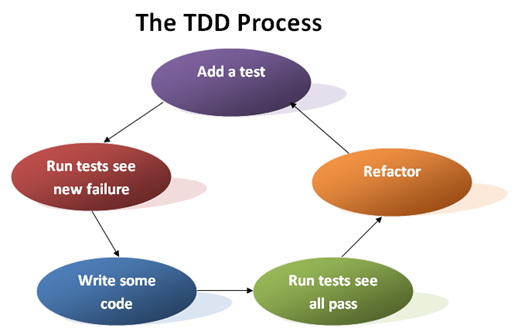 Does Test Driven Development (TDD) really matter? Test Driven Development (TDD) has been around for a quite a while (since 2003) and nowadays, somehow works like a buzzword in developers’ resumes. Many decent companies around the world would highly consider TDD skills, experience, and more importantly TDD tendency of their job applicants, in their recruitment process. Sometimes, their candidates’ TDD adherence even matters more than any other skill such as knowing about new frameworks and technologies. But why is that? Does TDD really matter in real world projects or it’s yet another buzzword in developer’s recruitment? In this article I’m not going to bother writing yet another article about TDD, as there is already more than enough. The thing that I’m going to focus here is: what difference it would make on the software design and software and code quality as well as software developer’s level of expertise. First of all, once we’re talking test, we mean automated test as opposed to the end-to-end manual test. Which means we’re writing code to test the actual code! Integration testing : that tests a combination of methods and components to see if they work properly while integrated with each other. In TDD we could have all 3, traditionally though, we mean Unit and Integration testing once talking automated tests. At first as a developer, it doesn’t make sense to write a code that tests something which doesn’t actually exist. But that’s one of the main points. The tests actually represent the specs we are about to implement. All the components in our software are there because we are expecting them to do something. So before writing the code in a TDD manner, we need to be clear about specifications (expected behavior) of the system. If we have clear specs we would be able to write the code that exactly needed. So let’s highlight the first point in TDD : be clear about the software module’s specs . Why is it important? To answer this question you need to experience working in both TDD and non-TDD teams. Well … I can bet you on this, If you do TDD for a while and then get back to a non-TDD environment you can feel the chaos, reworks and ping pong game between the Business Analysts (BAs) QA (End to end testing team) and developers. Which is a bloody vicious and tedious game. In the future I’ll be writing about BDD (Behavior Driven Development) which is a kind of evolution in TDD in terms of having clear specs, I’m not going to get into more details on that topic here though. When you write test and then the code, you are actually covering the code’s health and integrity with your unit tests. This means that if you develop a component and in the future another developer comes and changes the component to add a new feature, and his code breaks some functionalities of your code, he will realize the problem as soon as possible. So he’d be able to fix it easily and briskly. Even if he’s a careless developer and doesn’t run the tests before pushing to the code repository, using a CI (Continuous Integration) server, everyone in the team will receive a notification email which indicates the change has broken the code and caused a test to fail. So another benefit we can get from TDD is : protecting our code from breaking changes and enabling the team to spot the bugs at the very beginning of their occurrence. Remember though, that we need to do code review plus Continuous Integration (CI) in conjunction with unit testing and integration testing to achieve a robust mechanism to protect the code against breaking changes. To me, the most important plus of doing TDD is its impact on design and quality of the code. Writing code in a TDD fashion is subject to writing testable code which takes a different style of software design. At first, testability might seem trivial, but quite a lot of value is buried behind it. Which says: each method should be only responsible to do one and only one thing.A class should be responsible to do a single job. Your code should be open to extension and close to modification. Which means too extend the software’s functionality, we should be adding code rather than modifying the current code. Depend upon abstractions instead of concrete classes. Which means we need to write a code that all dependencies are interfaces or pure abstract classes (with no implementation) rather than concrete types (non-abstract classes). In fact, Dependency Injection which is a widely used design pattern is based on this principle. I’ll cover this topic later on, in another topic. Writing testable code, forces developers to stick to the Single responsibility principle. As we need to write unit test for our methods and each unit test should test only one thing. So a method with multiple responsibilities would be hard and cumbersome to test. More importantly, the need for testability makes developers to use dependency injectionin code to be able to replace the actual dependencies with a fake implementation. For instance consider a repository class that relies on a database context object (say it’s using Hibernate session classes or Entity Framework’s DbContext object). If this database context is injected into the repository, we could unit test the repository by faking the DB context object and without any need to connect to the actual database. Technically, it’s called testing in isolation. Once we’re unit testing, we should isolate the component or the system under test (SUT) from all of it’s dependencies. You can see a code I’ve pushed into github, as a sample of unit testing repository classes to make a better sense of how dependency injection facilitates unit testing. To see the sample repository class click here and to see the unit test class for that repository click here! Using dependency injection, would result in a clean component decoupling in our app which is a crucial factor in software design. And test driven attitude would force developers to write loosely coupled classes to be able to test them in isolation. The point I’m trying to make in this article is that a test driven attitude is not just about writing automated tests for our code, but rather leads to an immense impact on our design and coding style as well. In fact, a developer with TDD skills and experience is the one who a professional development team can count on. To wrap up, I would say “Hell YES!!! TDD really matters and is a must for a developer who wants to work in a professional development team.” So if you want to be a real developer, start learning or brush up your TDD expertise, rather than whining about the companies that excessively care about TDD!